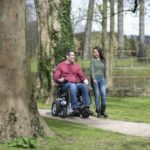 Pressure Care: Why is the Design and Selection of my Wheelchair Cushion So Important? One size, one shape does not fit all! The goal in the selection of a wheelchair cushion and (back support) is to provide for an individual’s positioning needs and provide pressure care while promoting functional mobility and activities from the wheelchair. 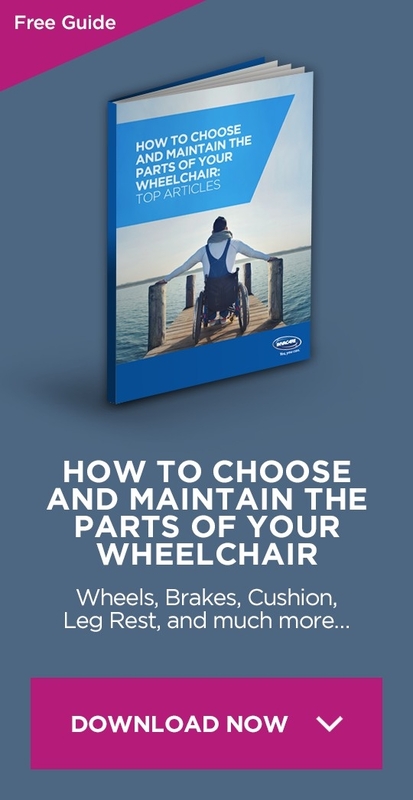 A wheelchair and seating assessment with a healthcare specialist is recommended to help determine the product features and benefits that best match your needs. Throughout the day, we transition from a “resting posture” where we can allow our muscles and body to relax, to a “ready posture” where we can engage in an activity, and a position of pressure relief to keep our skin healthy. 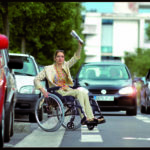 Whether you use a power wheelchair or manual wheelchair as your primary means of mobility, immobility alone is a high-risk factor for pressure injury. Direct pressure is a vertical force on the body. Pressure= Force divided by Area. The larger the area to disperse pressure on your buttocks and thighs, the less overall pressure on the bones and tissues. This is a primary means to decrease overall sitting pressure. Based on your body measurements, the size of the wheelchair seat and the size of the seat cushion is determined. If it is sized correctly, you will decrease the overall sitting pressure. If it is too small, it can increase pressures under the buttocks and cause an increase in a pressure injury. 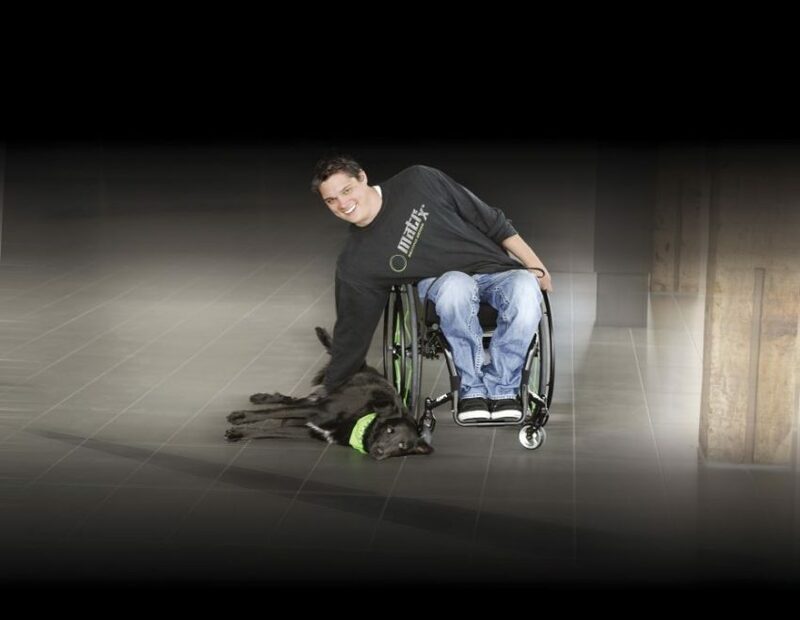 Manual pressure relief refers to the ability to independently adjust your own position in the wheelchair. This helps reduce the risk of pressure build up under the IT’s (seat bones).. If you are unable to shift your own weight to protect your skin, your therapist may recommend other means to effectively shift your weight, or discuss the need for a power wheelchair with “power seat actuators”. Specifically power tilt and power recline can help you shift your own weight for pressure relief. In addition to reduced sitting pressures, changing positions can provide postural support, improve sitting balance and comfort. Here are some additional terms that your therapist or health professional may use when showing you and trialing wheelchair cushions. Pelvic stability is a term which describes when the pelvis is positioned in a “neutral position” i.e. not rotating backwards or forwards. Pelvic stability is achieved through matching the contours of the cushion surface to the contours of the buttocks. 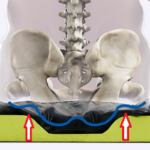 When the pelvis is stable this in turn creates stability in the spine, as the two are connected. When the spine is stable the trunk can extend helping open up the chest, aiding breathing and digestion as well as other physiological functions of the body. Stabilising the pelvis and the spine is essential for the individual to be able to use their arms without losing their balance. This is critical for lots of activities including propelling and reaching. The term Immersion (the ability to sink into the cushion without bottoming out) maximises surface contact area between the user and the cushion. Most commonly you will hear this term used in connection with the Ischial tuberosities (IT’s). In order to reduce the build up of peak pressure under the IT’s the IT’s need to be able to immerse into the cushion which in turn helps create more contact between the cushion and the user. The principle of “Off-loading” transfers weight bearing forces away from the IT’s to the femur and thigh tissues. With less direct pressure to under these bony prominences we reduce the incidence of pressure injuries. The next design principle is called “envelopment”- the material in the cushion surrounds or engulf the bony prominences and aids in “dispersing pressure” across the entire surface area of the cushion thus reducing it under the bony prominences. Shear management is accomplished when the cushion is designed so that when the body or pelvis is shifting on the cushion, the material moves with it and decreases the shear of the body tissue and bony structures to minimize pressure injury. Shear forces are “parallel forces” that cause tissues to “deform” in shape under the skin. Friction is a “resistance” that arises when one surface rubs against another. This relates to the cushion cover and clothing on the individual which can cause friction and therefore damage to the skin and subsequently the tissues of the buttocks. Temperature and moisture can have a direct impact on pressure because as the body temperature is raised the skin and tissues are more susceptible to pressure injury. The shape and materials used to create the cushion. The overall weight of the cushion, especially if it is being matched with an lightweight wheelchair. Care and maintenance of the cushion. Does it need to be inflated or kneaded to maintain its effectiveness? The Temperature and climate where it will be used, as this can change the effectiveness of the material for posture and pressure management. How will the shape and dimensions affect functional transfers and propulsion, meaning how easy is it to move forward on the cushion to transfer in/out of the wheelchair. Remember, an assessment with a wheelchair specialist will help you identify your seating goals and minimize pressure injuries. They will assess your skin integrity, sitting balance, spinal asymmetries, range of motion, flexibility, tone, and reflexes. These factors among others will help in the selection of the wheelchair and seating system.